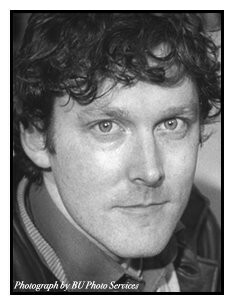 Cast: Kathleen McElfresh (Bridget O'Sullivan); Christopher Donahue (Jack Smythe); and MacKenzie Meehan (Cathleen O'leary); with Offstage Voices by Greg Balla and Karen MacDonald. Design: Santo Loquasto, Scenic & Costume Design; James F. Ingalls, Lighting Design: and Ben Emerson, Sound Design. Thanks to PBS, we are all familiar with the upstairs/downstairs dicotomy of late 19th Century and early 20th Century domestic servants versus their upper class employers. We tend to root for the lower class characters in the spirit of championing the underdog. 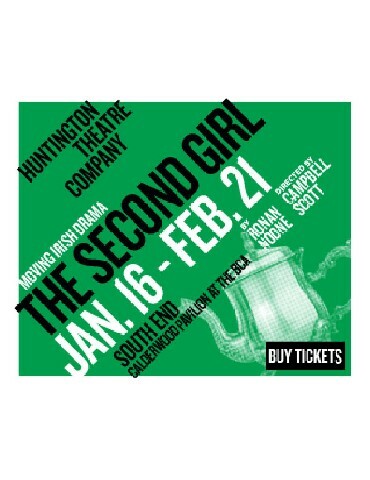 With a Eugene O'Neil twist, Playwright Ronan Noone applies this social division deftly and thematically to his world premiere of The Second Girl now playing at the Huntington Theatre's Calderwood Pavilion. Taking O'Neill's Long Day's Journey Into Night, Noone looks at what the "downstairs" was doing on that same day August 12, 1912 that the earlier American classic took place. Similarly, in this play, like most of O'Neil's characterizations, the playwright involves three characters on the fringes of society. Each struggles to maintain their personal hopes and aspirations, but ultimately they slide into a desperate resolve ending in tragedy. At the same time, The Second Girl is a thoughtful and poignant drama about the American immigrant experience and ultimately about the textured trials and tribulations of reaching for the American Dream. Noone looks at the darkness of those entering and experiencing the new American world. The one American-born character demonstrates along with the others that choices, happenstance and personal decision-making can harshly effect our lives. 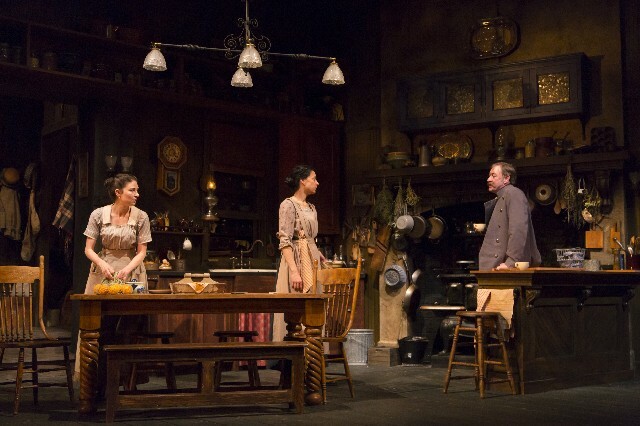 Exquisitely staged by multiple award-winning designer Santo Loquasto, the detailed set is the kitchen and backporch of the affluent Tyrone family. Cooking bacon and roast chicken smells waft through the audience as various meals are being prepared. The ever-moving lighting designed by James F. Ingalls states both mood and changing times of the summer day. Both the set and lighting expressively set the tone of the play. In fact, rather brilliantly, light and shading are characters in the play. With a trio of outstanding actors, this Huntington drama is beautifully performed with nuance, sadness and grace. 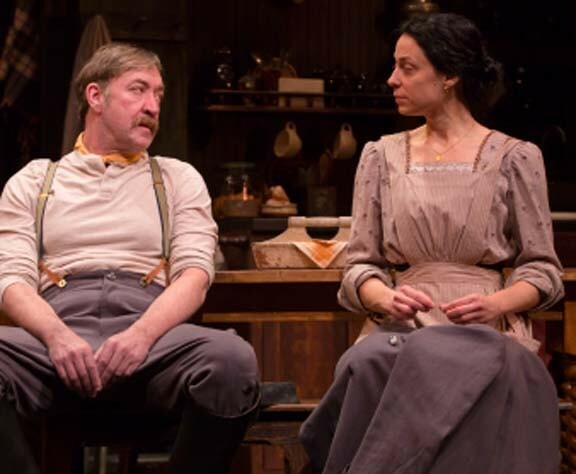 There is a hard-shelled flintiness to Kathleen McElfresh's wonderfully crafted portrayal of the prickly Bridget O'Sullivan. Her characterization underscores Bridget's self-protection and alcoholic self-medication. Christopher Donahue's sad-sack Chauffeur Jack Smythe provides a quietly heldin belligerent dark side and deep yearning, while the pretty MacKenzie Meehan's Cathleen Shakespeare dialogue-quoting often speaks to her at times delusional optimism. 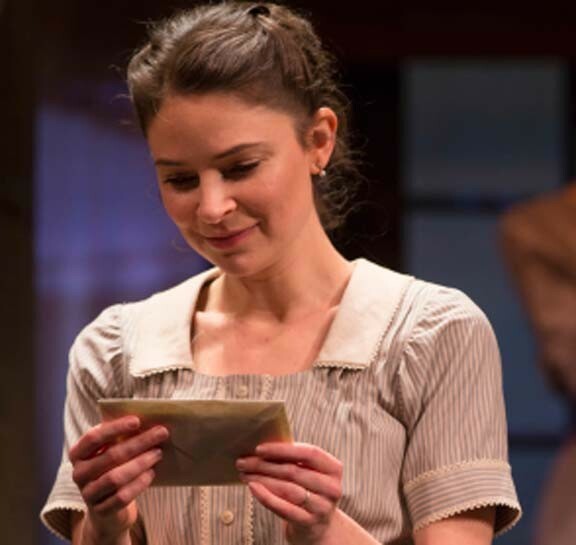 Her performance reinforces her character's charm and edgy hopefulness. Strangely, none of the characters seemed to have much of a sense of humor, something that generally upwardly striving folks often use as a survival tool. Stoically experiencing life's tragedies and problems, their self-worth sometimes seems to be confused with self-awareness as well. But, this is part of the core of the play: self-worth vs. self-awareness punctuated by love and family. 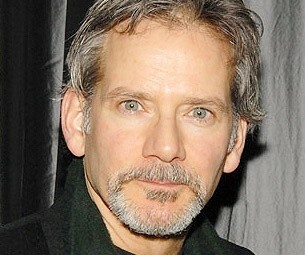 As characters moved and interacted, Campbell Scott's direction seemed seamless. His direction was a very orchestrated disciplined dance of regimented life and attempts at reaching but perhaps not achieving beyond. As a brand new play, there are a few editing issues in the narrative: first, the Chauffeur's reference to the "old Packard" is a bit strange in that the year is 1912, and they only started to make Packards in 1903; second, the two servants referred to Mr. Tyrone as His Lordship and Mrs. Tyrone as Her Ladyship. This is not an English drama but an American story, and their employers would have been more normally referred to as "The Mr." and "The Mrs" by staff members. Editing will easily fix these. The Second Girl is a celebration of a young, emerging playwright with a historical touch and a literary vision. It is a drama wrapped in humanity that transcends its time and place.